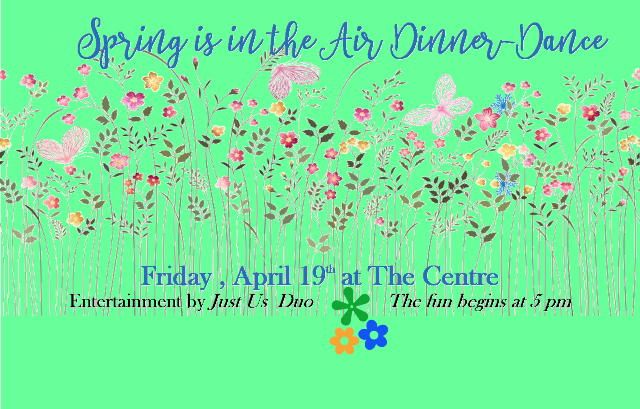 We’re stepping into Spring with our Spring is in the Air Dinner Dance! Come join us for a fun evening of friends, dancing & great food! COST: $10.00 Includes Dinner and Dance. Advanced ticket purchase is suggested. Ice tea, water, coffee & ice happily provided. BYOB welcome.